Last Friday March 6th, the Oregon Council on Developmental Disabilities hosted the 2015 DD Awareness Celebration kickoff event. 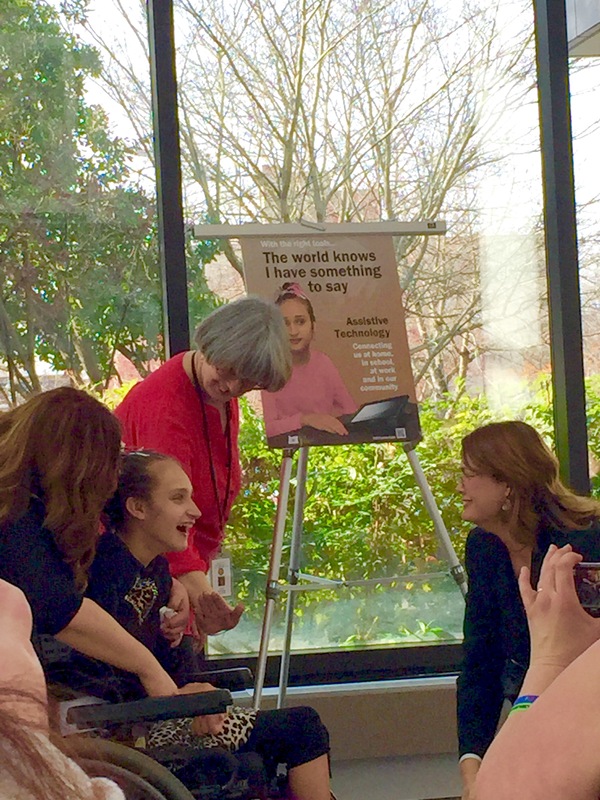 As part of the festivities, attendees enjoyed guest speakers Robin Shobe and state DD Director Lilia Teninty, and the unveiling of the 2015 DD Awareness poster “I Have Something to Say,” highlighting adaptive technology, with participation from poster model Maddie Zielinski. Sherri Osburn, Vice Chair of the Oregon Council, served as emcee, and Senator Sara Gelser read a message to the community from Governor Kate Brown. Senator Gelser also presented awards to this year’s DD Champion recipients, Jim Wrigley of Disability Rights Oregon, Margaret Theisen of Full Access, and Trisha Baxter of DHS. Bob Joondeph of Disability Rights Oregon accepted the award on behalf of Jim Wrigley, who was unavailable. All three recipients have been pillars of the DD Community, and their retirements create a call to action for those who remain to try to fill their roles. 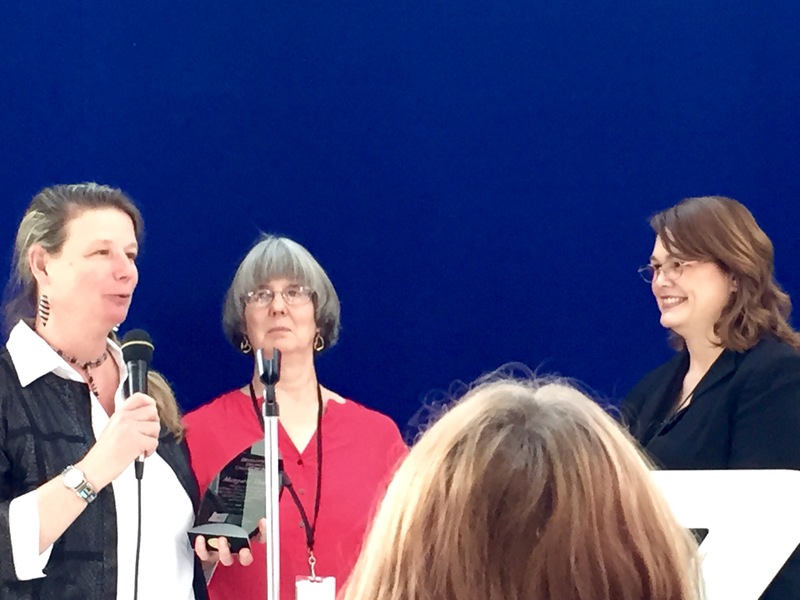 Margaret Theisen accepts DD Champion award from Sherri Osburn and San. Sara Gelser. Margaret’s introduction rightly spoke of the leadership and inspiration she has provided to the Brokerage community, and to the broader I/DD community. Her focus on self-determination for the people with I/DD that we serve never wavers. 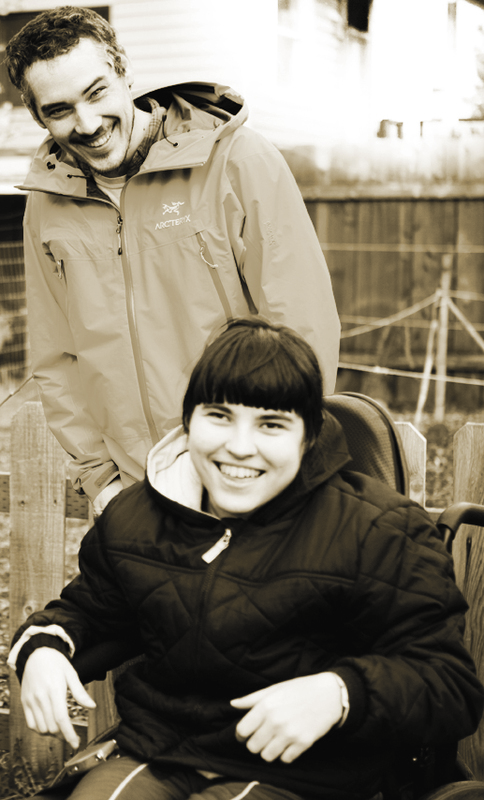 Margaret has demonstrated in her daily work that we cannot compromise on core values. She has been the person in the room who is willing to say the unpopular thing, the uncomfortable thing, and in doing so, often what matters most. Margaret is set to retire from Full Access in June, where she has served as Executive Director for 13 years.